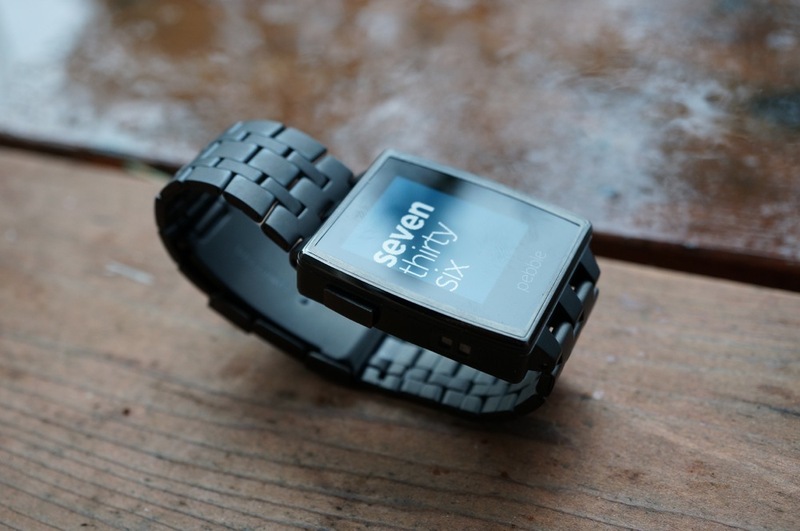 Our Pebble Steel (in black matte) is finally in house. And yes, we unboxed it. 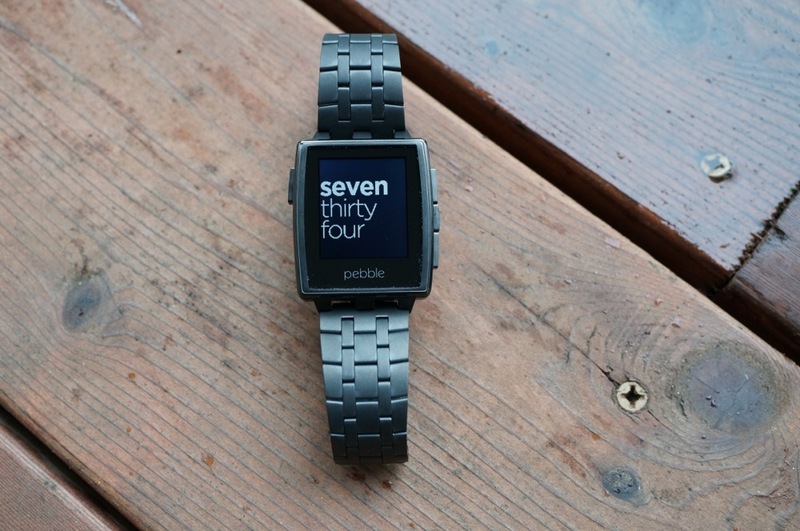 Announced during press day at CES in January, the Steel is Pebble’s premium finished smartwatch, targeted at those looking for something a bit classier than the original plastic unit that took the smartwatch world by storm. The functionality here is identical to the original, so the focus then becomes on the materials used, appearance, and whether or not it’s worth the extra $100. 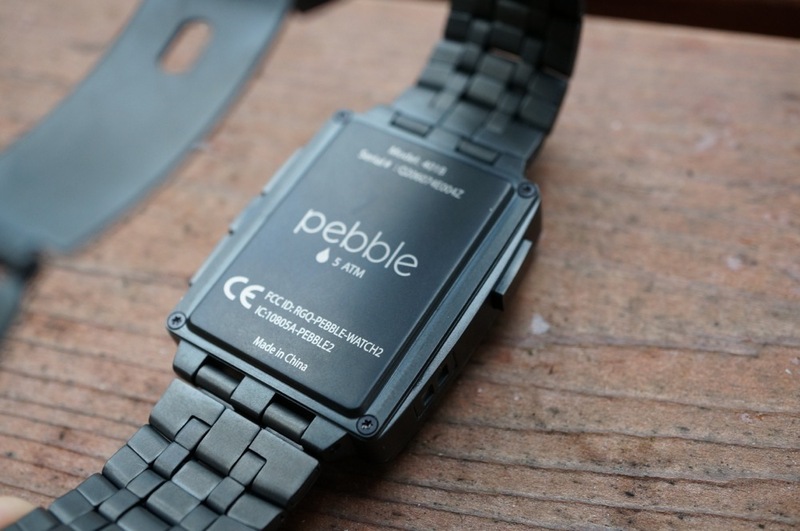 I’ll likely put together a quick review in the coming weeks, but as you can imagine since the functionality is the same as the original, my thoughts about this new all-metal Pebble likely aren’t going to differ. 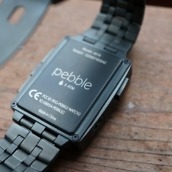 I’ve had it on my wrist for a few hours now, and really, it’s just like the other Pebble only it’s made of metal. 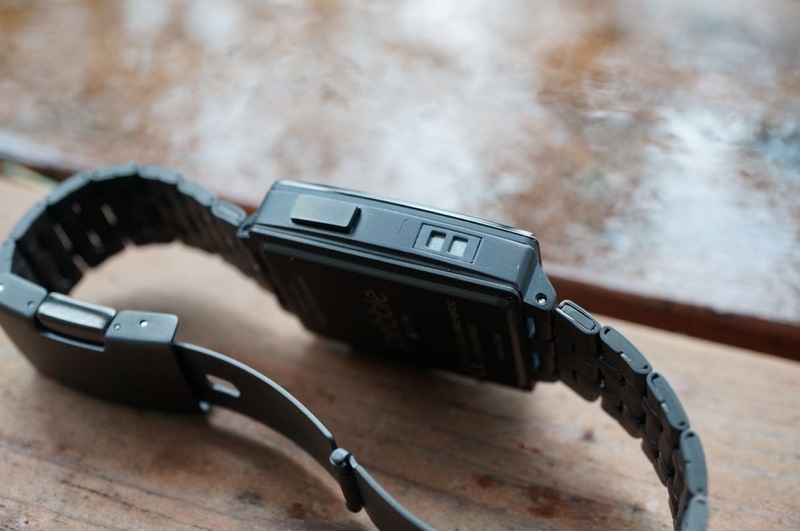 We are most definitely not talking Rolex nice (probably not even Michael Kors or Diesel or Burberry or insert-mid-range-watch-brand nice), but the metal band and squarer body are certainly welcomed changes. 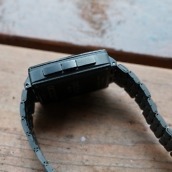 I may get some heat for this, but this is not even close to being the most premium feeling metal watch I’ve ever worn. It’s not terrible, but it’s not great either. 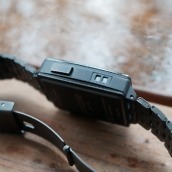 The edges of the wrist-strap are far too sharp and the metal sounds cheap. Watch people will know what I mean by the sound. 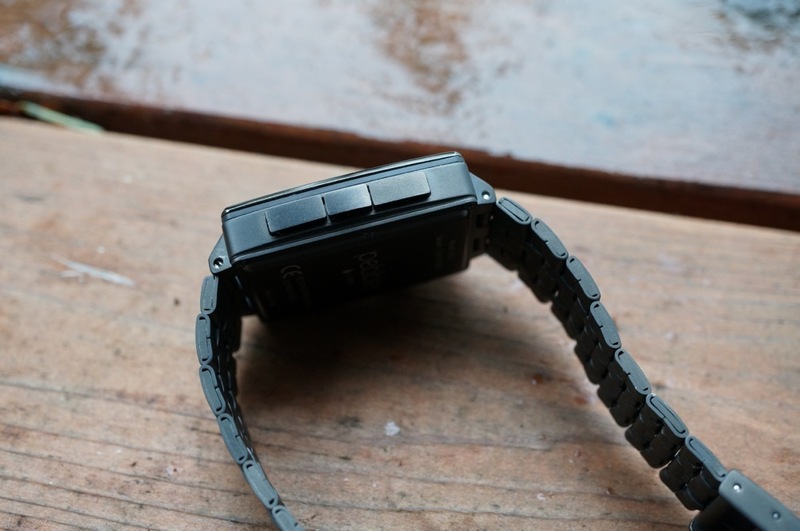 When you pick up an above average watch, and dangle the wrist-strap, they give off this soft, weighted jingle. It’s a beautiful noise that the Steel doesn’t reproduce. 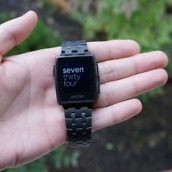 So far, I think the story is about the design and materials used because the functionality matches the original to a T. I wouldn’t say I’m disappointed by what Pebble has released here, but it’s not making me jump for joy just yet. Let me spend some time with it and that may change. 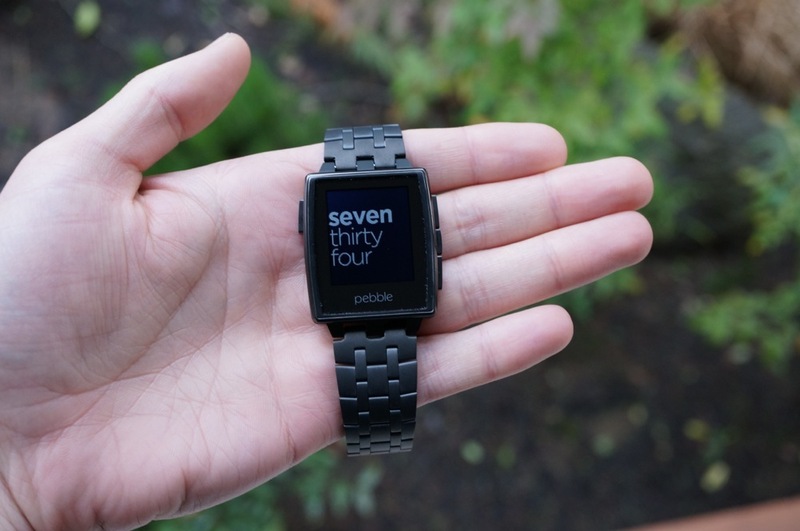 More thoughts, plus a comparison to other smartwatches in the video below.